Valarie Jenkins' signature series Huk Lab shirt has been tested on tour for durability and comfortability! The Pro Huk Valarie Jenkins is a snag-resistant flat tricot micropique. The contrast stitching on the collar, sleeves and shoulders adds a nice design element and hoods to the ValStar graphic. 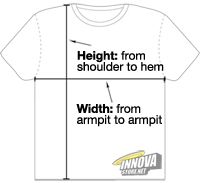 The shirt is very thin polyester, which transfers moisture and is very comfortable, especially in hot weather. A portion from the proceedings from sales of this product go to Valarie’s tour budget! CARE INSTRUCTIONS: Machine wash cold with like colors, only non-chlorine bleach when needed, tumble dry low, do not use softener, remove promptle, cool iron if necessary.